LAURIE'S BLOG. MY LIFE, MY PASSION, MY VIEWS: Ghana Fashion & Design Week Set Date for 2016 Event – themed ‘Neo Africa’. 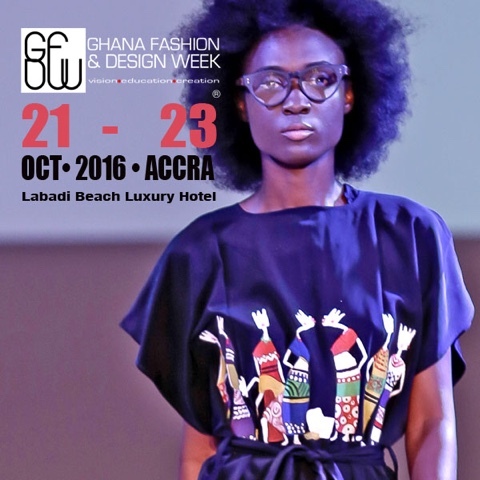 Ghana Fashion & Design Week Set Date for 2016 Event – themed ‘Neo Africa’. This exciting information is especially for designers, models, fashion students, the media and all lovers of fashion. 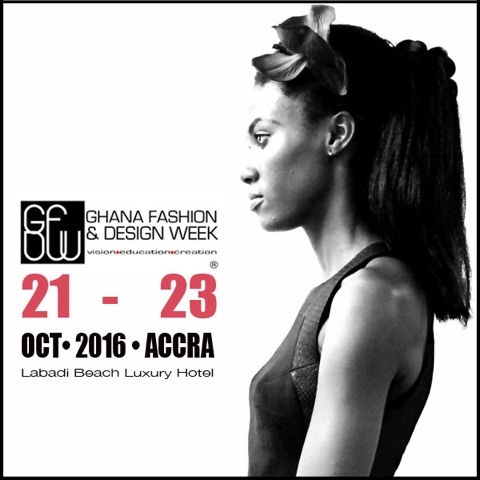 Find all you need to know about the Ghana Fashion and Design Week 2016. 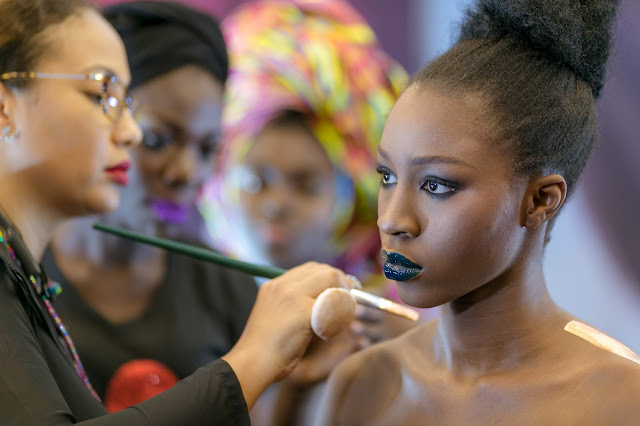 Turning the world eyes once again Accra, the globally recognized international business event this year takes on the theme ‘NEO AFRICA’ - in leading a new African Fashion and design narrative. The event will welcome both local and global guests and businesses to actively connect, ignite new business development opportunities, and celebrate the important role design and creativity plays in our social setting and business space in leading economic development. With variety of activities set from seasonal Runway show displays of both established and emerging new talents, to business and education seminars, we are well encouraged to see promising talents coming through from our Education partner Radford University College in Accra, nurtured by the dedicated Yvonne Ntiamoah, HOD Fashion Design at RUC. GFDW New Talent Spot™ initiative space will welcome 2016 budding new fashion graduates to the space again this year, anticipating to see current selected talents at the space - Julia Shika Odamtten, Radiant Jackson, and Michael Owusu, reveal their eponymous collections during the runway presentations. We are pleased to continue collaboration with our Education partner, 2ndImage Academy led by founder Nikki Boa, the academy which celebrated a well deserving 30 years nurturing creative talents in Hair & Make-Up this year is dedicated to industry development. We are delighted to provide key support to Ethical Fashion and social impact creative businesses on the GFDW ETHIKHA platform. Highlighting fashion change makers protecting traditional heritage craftsmanship, driving sustainable fashion, and producing quality made in Africa goods. Leading award winning celebrity Hair Stylist - Charlotte Mensah brings her Avant-garde creativity and innovative ideas as the artistic director to the platform, specialized in Afro Hair care revolutionary techniques. designer talents development across the globe in partnership with SilverStar Auto Ltd.Gh., Sai Ghana, Canon, Time Out Accra, Vogue Italia, AB2020, Business Day Ghana, Pulse Ghana, Neighborhood Gong, and all our collaborators supporting our objective for development. Stay tuned for more exciting news and event updates on our social media platforms. 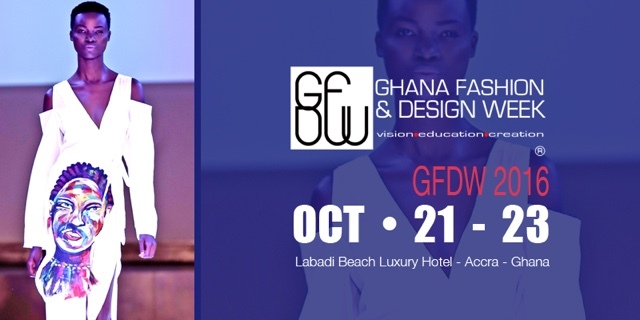 Ghana Fashion & Design Week® (GFDW) is Ghana’s most innovative fashion business week platform, pioneering innovation in fashion business and creativity. An international platform for commerce envisioned to support, direct and lead both emerging and established creative business practitioners. The event focus is directed at fashion and product design entrepreneurs, including accessories and interior design practitioners in Ghana, and in the Diaspora of the mother continent, alongside international designers, and businesses to showcase and exhibit their collections and products to a global audience for trade and marketing. GFDW New Talent Spot™ initiative space empowers and supports the development of talented nascent new graduates. Focused on providingessential business start-up continuity and creative design support as they transit from graduates to becoming new creative business entrepreneurs in Ghana. ETHIKHA™ platform at GFDW centers on Ethical Fashion & Sustainability development, dedicated to designers and social enterprises committed to driving social impact through fashion and design innovation, to improve the lives of society’s underprivileged.